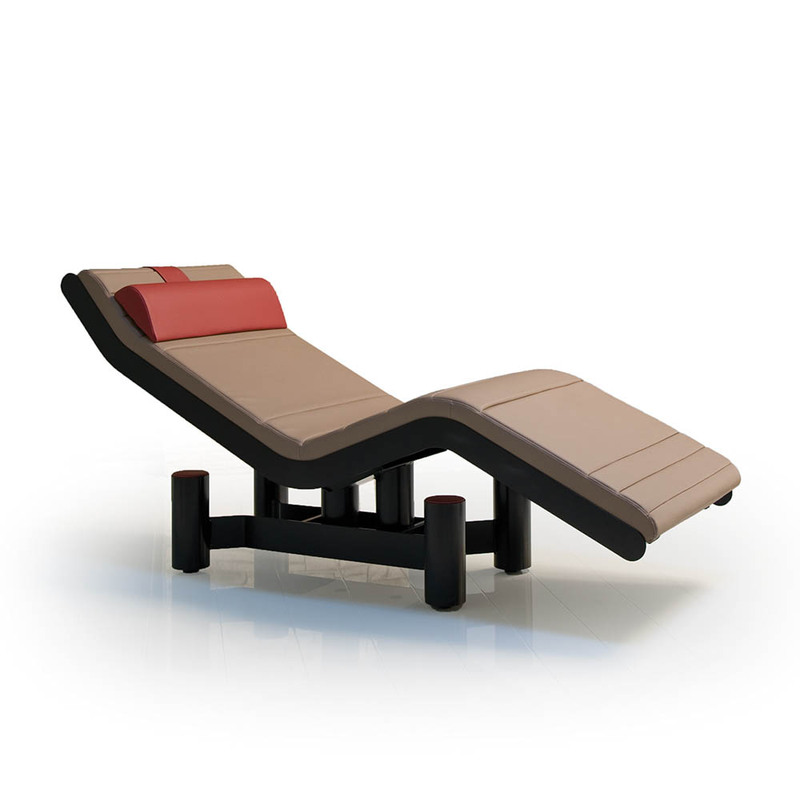 Gharieni loungers are the ideal complement for relaxation and lounge areas of your spa. Unique design and fine workmanship create a visual impact while also providing guests with ultimate comfort and cocooning. 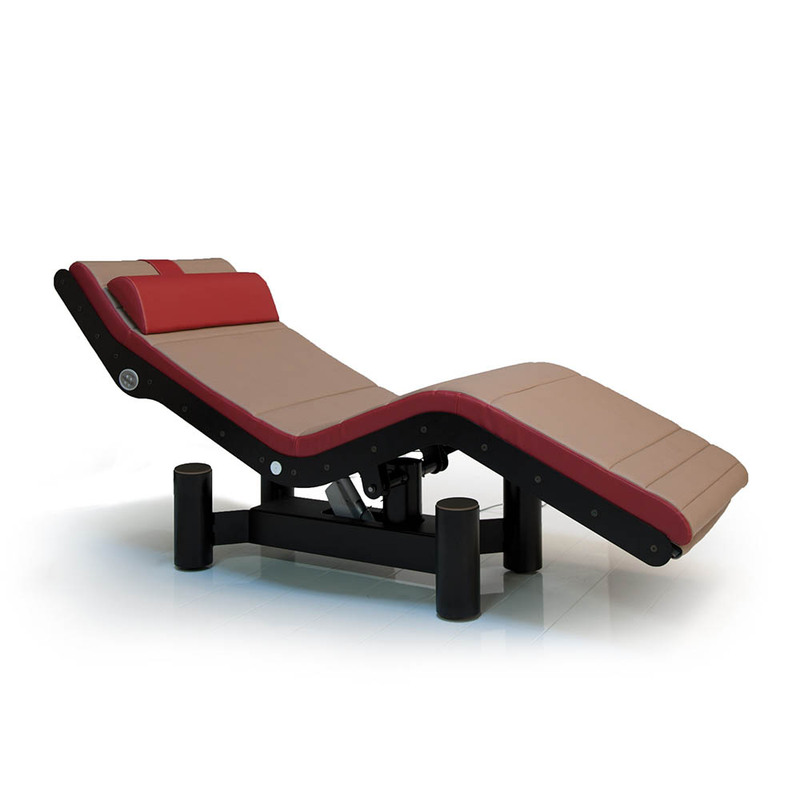 The exclusive Evo Lounger has stitched PU upholstery and the head, back, leg and foot sections are electronically adjustable. 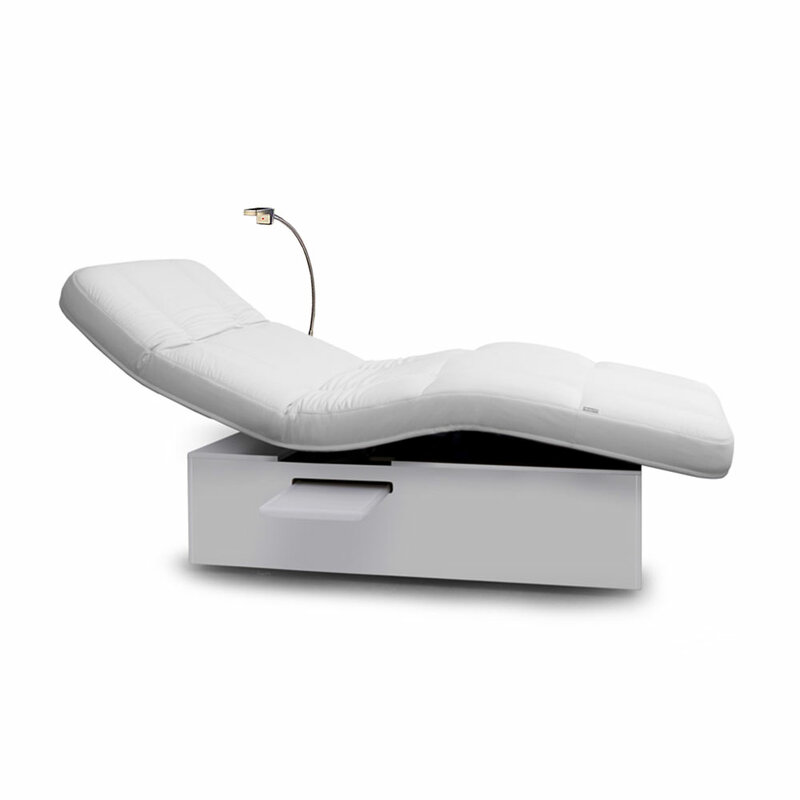 Every lounger is equipped with a tray, which can be pulled out on both sides and there is an optional LED reading lamp attached. 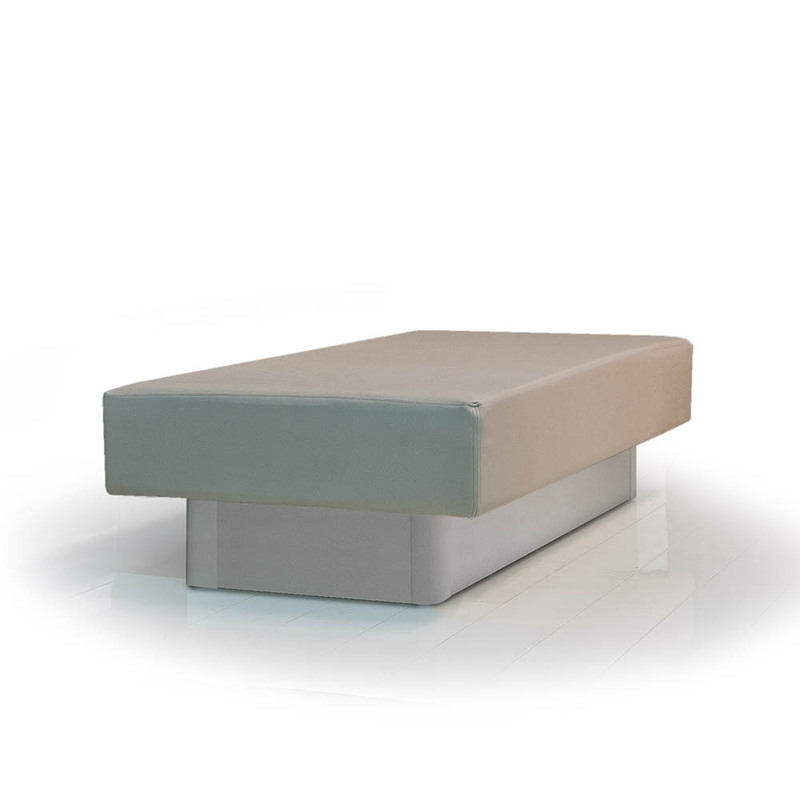 The RL Aqua, available in various lengths and widths, is a heated water bed. The artificial leather surface is very easy to maintain and clean. 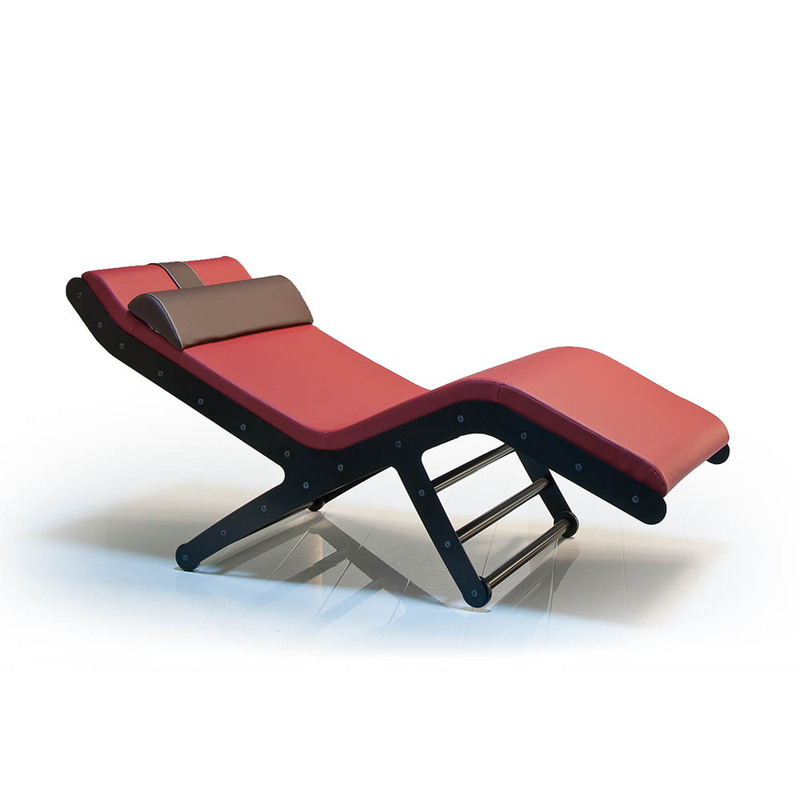 Lounger with fixed position specifically developed for spa relaxation areas. These loungers with their soft artificial leather upholstery are available in many color combinations and can be completely adapted to your spa interior and design aesthetic. The motorized tilt adjustment, makes this lounge bed truly unique. 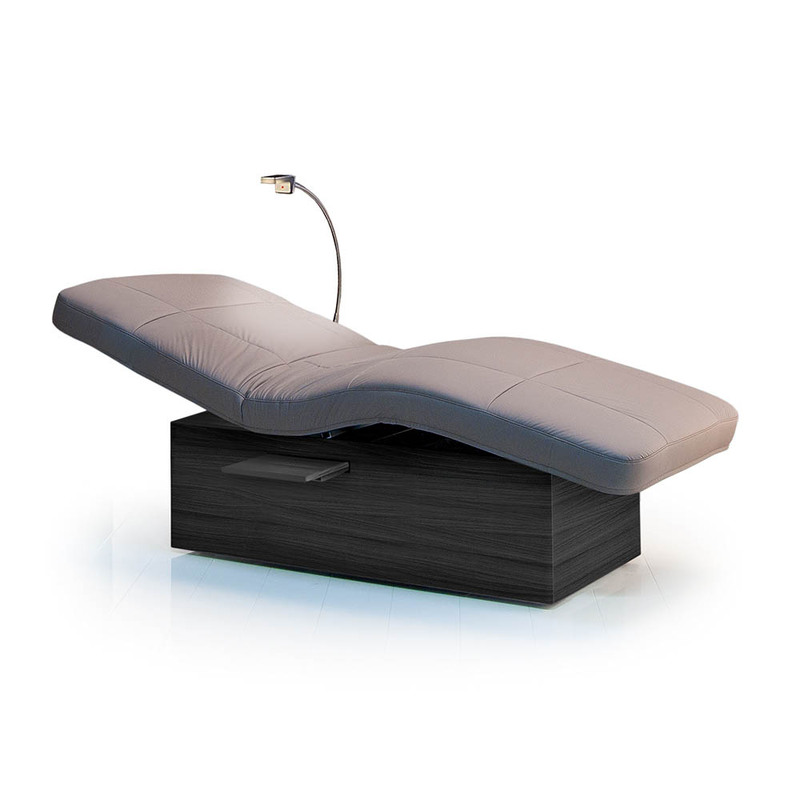 With an optional reading lamp and swiveling mounting tray, it is the perfect solution for relaxation.